We are SharePoint experts, not jacks of all trades. We believe in the power of a custom infrastructure to boost productivity, improve employee satisfaction, streamline operations, and boost business outcomes across all KPIs. We work with your one-on-one to determine the most effective Share Point solutions for your Brisbane or Goad Coast Business. We are Microsoft Certified IT experts, who have been serving our community since 2009. That’s right, we are local SharePoint pros, who are happy to meet with you in person to discuss your current data and infrastructure challenges. Our goal is to create a simplified method of keeping files organized, secure, updated, easy to access—and easy to share. We also keep you and your team mobile so that you can access and work while on the go from any type of mobile device. And as your business grows, we will make sure your IT infrastructure is always one step ahead! You already have Microsoft Office 365 and some sort of data and file share system in place. So why add SharePoint to the mix? 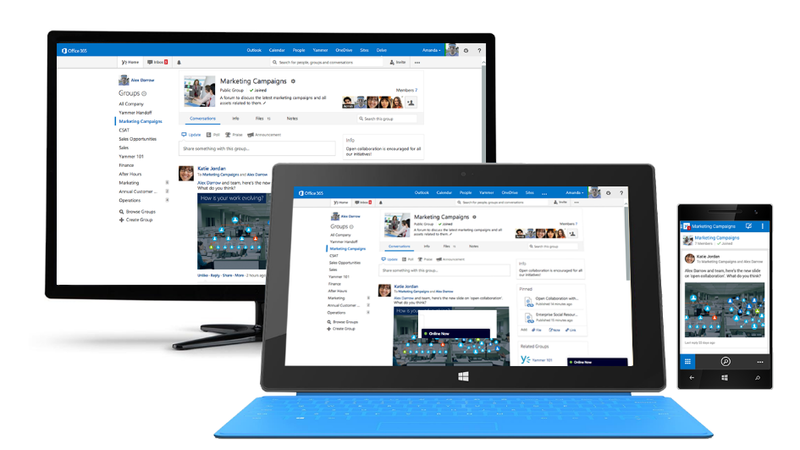 SharePoint is a company-wide web platform which empowers you to create a shared intranet. It is integrated with the entire Microsoft Suite, but can be tailored to fill the gaps—and meet your industry or business-specific needs. Multiple users can login to, edit, and update the same document at the same time. No more duplicate projects and documents! No more misplaced files! A cloud-based web platform that empowers your team to login and access your shared projects and files from anywhere in the world. Supports the growing demand for BYOD (bring your own device), by providing secure login from any mobile device. Integrated with the entire Microsoft Suite. Can be leveraged to create custom apps that fill the gaps left by your current software. Streamline operations, boost productivity, increase employee satisfaction, improve all KPIs. Customizations and custom-made desktop apps can be leveraged to fulfill industry or business-specific needs. With SharePoint the sky is the limit. Reach out today to discuss how this seamless integration can streamline your operations! Whether you have tried the free version of SharePoint available with your Office 365 and had no luck, or you simply don’t see the advantage of training your team on yet another software—then you don’t know what you are missing! 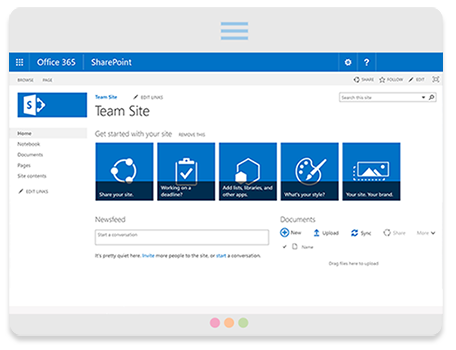 The best way to integrate and implement SharePoint is to work with a consultant such as the team at SharePoint Pros who know what questions to ask to identify how this infrastructure management tool can be used to boost your business outcomes. When properly set up, and customized to meet your business and industry needs you can have a powerful tool that your team will love! Yes, you can easily organize, share, and manage your files from any device—from anywhere in the world. Yes, you can set up SharePoint to easily “search” your entire intranet or infrastructure database. Yes, your team will have to be trained, but once they learn how SharePoint works—their new skills will transfer to all your upcoming upgrades, new features, and custom SharePoint apps. Yes, you can streamline operations, improve communication, and boost workflow. Yes, you can beautifully brand SharePoint and your custom apps to create a visually appealing platform. Yes, SharePoint is an investment—but it’s an investment in custom IT designed to address your specific areas of opportunity, and deliver efficient and measurable new solutions!